A superb news for all those who have a wish to scout tiger and other wildlife creatures from a close distance that Bijrani Gate has been opened from 15th October, almost after a break of 3 months. The other zones will resume from 15th November. 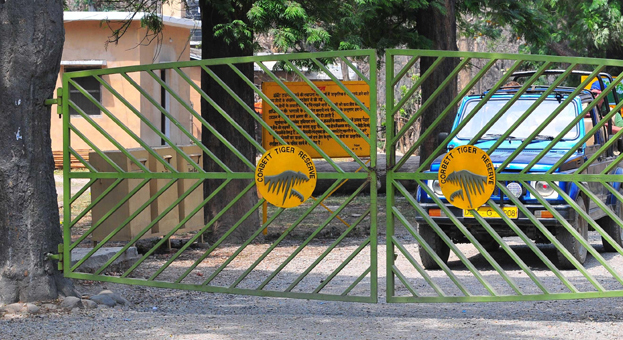 Travelers can make an entry to Corbett through Bijrani zone, which has a lot to offer. On the first day of opening, around 500 people went through the Bijrani zone and more than 300 wildlife enthusiasts and nature lovers embarked on the safaris. Moreover, all the tickets of safaris were sold on 15 October. The roads that got damaged owing to downpours during the monsoon have been suitably refurbished and revamped said Satish Chandra Upadhya. It is estimated that in the coming days, the park may welcome the same number of travelers according to forest officials. Bijrani is the much admired and most sought after zone for tiger spotting. Positioned at the northeastern edge of Corbett National Park, it is a home to an array of flora and fauna magnetizing travelers from different parts of the world. It is indeed the place to relish the natural beauty, plunge in safaris and take up forest fun-filled activities. Since it is opening after a long gap, its natural surprises and many other attractions make it a perfect place to spend some time with families or friends. After the natural disaster in Uttarakhand, the tourism sector is going down but seeing the excitement of people towards wildlife in Corbett, a great amount of people will pay a visit here and tourism will become normal said Ganesh Rawat, a Ramnagar resident.